Have you received a notice in the mail that says your license has been suspended for an immediate threat medical? If the answer is yes, it is important that you understand your license is now immediately suspended for an indefinite period of time and you are not eligible for a hardship license. For many people, a license loss can have devastating effects including loss of employment and inability to care for loved ones. If your license has been suspended for an immediate medical threat it is important that you understand why you received the suspension and how you can get your license back as soon as possible. WHAT IS AN IMMEDIATE THREAT MEDICAL SUSPENSION? Immediate threat medical suspensions occur when the Registry of Motor Vehicles receives information from a physician or a police officer that a person’s continued operation of a car constitutes an immediate threat to public safety, due to a suspected or confirmed medical condition. The Registry does not need to receive information that you actually drove in an unsafe manner only that you have a medical issue or a suspected medical issue that make it a public safety risk to allow you to continue to drive. In this video, Attorney Michael DelSignore explains how to get your license back after an immediate threat medical suspension. A treating physician forms the opinion that a person’s medical condition makes it dangerous for them to continue to drive. Once the RMV receives the information that a person has a medical condition that may pose a risk they suspend the person’s license and send them a notice in the mail. The RMV is very cautious when dealing with drivers who may pose a risk to public safety. So, it’s extremely likely that if they receive any information they will suspend. These suspensions are for an indefinite period of time and there is no possibility for hardship or Cinderella license while the suspension is active. You will not be able to drive again until you get clearance from the RMV or the Board of Appeals. In this case, our client was involved in a collision with two other parked cars. The client was not arrested, but the police requested an immediate threat suspension, citing the client’s medical history made her unfit to operate a vehicle in Massachusetts. At the board of appeals, a DelSignore Law attorney was able to exemplify the client was in fact medically suitable to drive, and used letters of recommendation showing that client’s medical conditions did not affect her ability to drive safely. The clients licensed was fully restored without any restrictions. Here, Attorney Julie Gaudreau accompanied one of our clients to their board of appeals hearing after the client received a medical threat suspension notice. Due to her past medical history, the RMV determined she was unfit to continue to operate a motor vehicle. Attorney Gaudreau was able to show the Board of Appeals that the medical condition the RMV claimed made the defendant unfit to drive, was actually cleared up and that the medical condition was resolved. The clients licensed was restored as a result. The Registry of Motor Vehicles take these suspensions seriously. It is important to be prepared when you go the RMV. This means that you should have documentation from your doctor showing that your continued operation of a motor vehicle does not pose a risk to public safety. The Registry has specific forms that they require to even consider reinstating. These forms include a loss of consciousness form and a medical clearance and they must be filled out by a treating physician. Depending on the facts that led to your suspension you may require additional documentation. 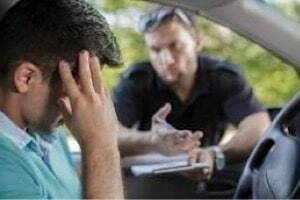 It is always a good idea to consult with an attorney who regularly handles license suspensions to help you ascertain what documents you should bring with you. Once you have compiled the required documents you will need to go to a RMV with a hearings officer. Not all RMVs have hearings officers and the ones that do have varying times that hearings are held. You should consult the RMV website to make sure that there is a hearings officer available on the day you intend to appear. Hearings are held on a first come first serve basis so it is smart to appear as early as possible. At the hearing, a hearings officer will review your driving history, the basis for your suspension and any documents you have brought. The hearings officer can reinstate that day, deny your request or tell you to reappear with additional documents. If the hearings officer denies your request you should reach out to a license suspension attorney who can help you prepare an appeal at the Board of Appeals. WHAT HAPPENS IF THE RMV DENIES MY REQUEST TO REINSTATE? If the RMV denies your request to reinstate your license or you feel like they are making you jump through hoops, with no relief in sight, you do have the option of appealing to the Board of Appeals. The Board of Appeals is a three-person panel who has the right to affirm, deny or to modify most RMV decisions. You have the right to appeal the RMV's denial of reinstatement on an immediate threat medical suspension to the Board. To appeal the RMV's decision you must file an appeals form with the Board and make a $50.00 payment. The Board will process your appeal and schedule you for a hearing in about a month. It is extremely important to be well prepared for the Board. You will need to show medical documentation that your medical condition does not prevent you from driving safely. The Board expects to see paperwork showing completed classes, medical tests and physician notes. It is important to consult with an attorney prior to appearing before the Board. The attorneys at DelSignore Law handle license matters at the RMV and before the Board, if you have any questions we would be more than happy to discuss your specific case- contact us today. Additionally, if you would like more information on the Board of Appeals click on the link to read more on the process of appearing before the Board.